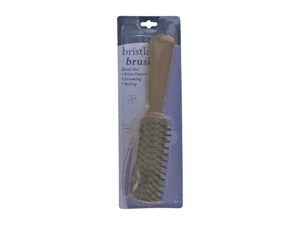 The styling bristle brush helps minimize and controls frizz. Also helps to distribute hair's natural oils through to increase shine. 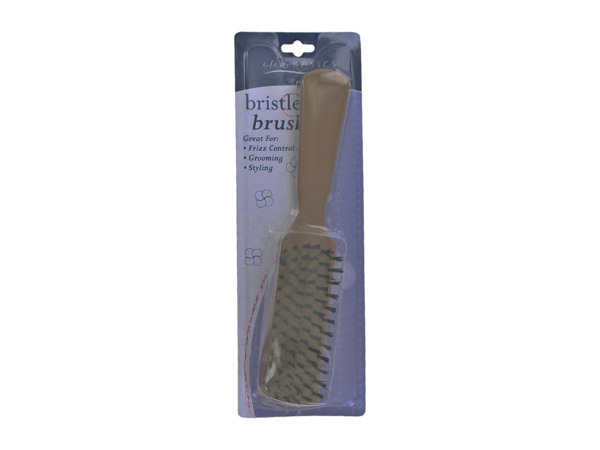 Brushes are packaged in a hanging poly bag with insert card. Brush measures 7" from end to end.